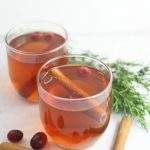 Instant Pot Hot Spiced Apple Cider is so easy to make and perfect for the holidays. It’s warm and spicy and great for entertaining. It also makes your house smell amazing! Close Instant Pot lid and set to manual high pressure for 15 minutes. Use Quick Release to serve immediately or allow it to naturally release and keep on warm for hours. Your house will smell amazing and you can serve it with a ladle directly from the pot!